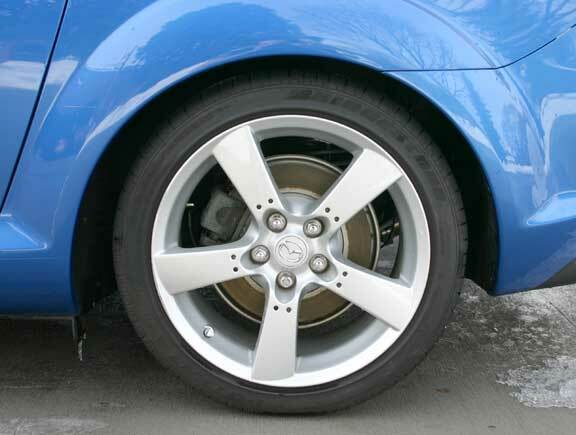 In parallel with the exhaust came the suspension. 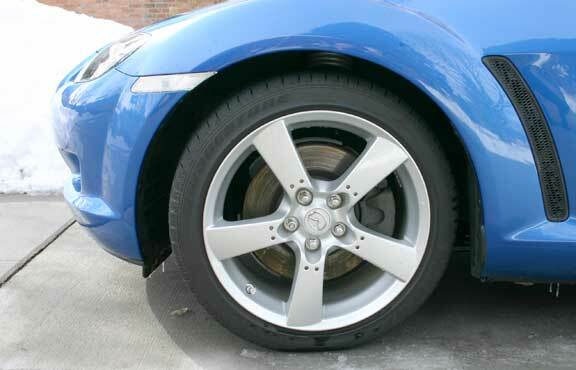 When I first test-drove the car, the impression I came away with was that there was quite a bit of float in the suspension. Driving over railroad tracks it was pretty pronounced. However, this did not seem to effect the handling of the vehicle, which I thought was strange. After having driven the car for a year and taken a couple of exit ramps slightly beyond the posted speed limit (and once or twice beyond the handling limit of the car) I was ready for the car to sit a bit flatter in curves. The only package I really considered was the MazdaSpeed one. 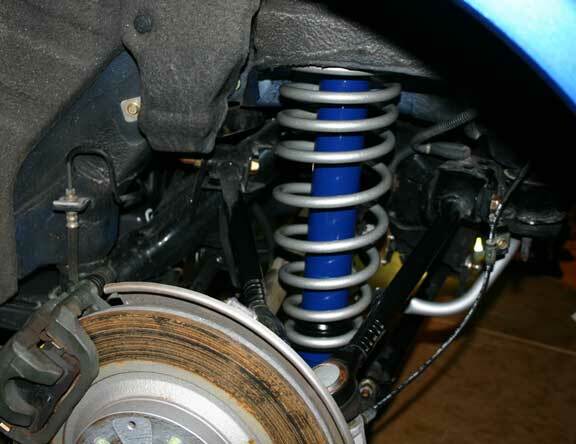 There were packages from Racing Beat and others out there, but in general they did not address all three suspension components (spring, shocks, sway bars), or I did not like the tradeoffs that they had chosen (stock shocks, super stiff sway bars, so the car is flatter in corners but not when braking). I am a firm believer in a balanced approach to vehicle suspensions, and MazdaSpeed has always seemed to me to take great care in matching parts (front/rear, and shock/spring/bar). 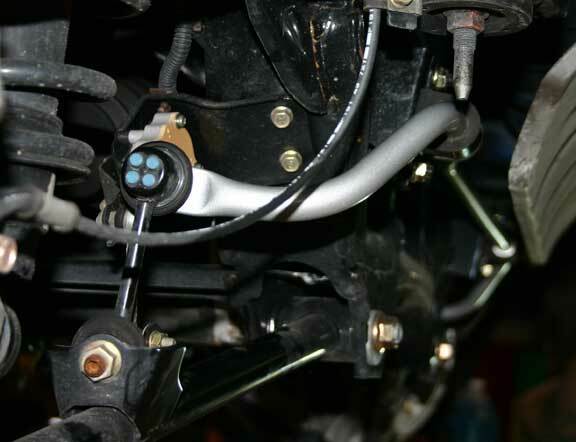 Comparison between the stock (black) and MazdaSpeed (silver) front sway bars. 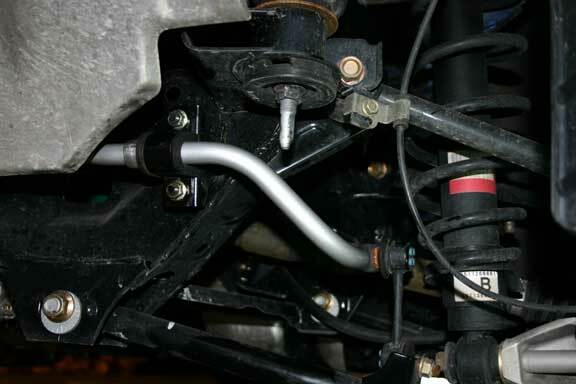 Comparison between the stock (black) and MazdaSpeed (silver) sway bars. This is one of the rear shocks. 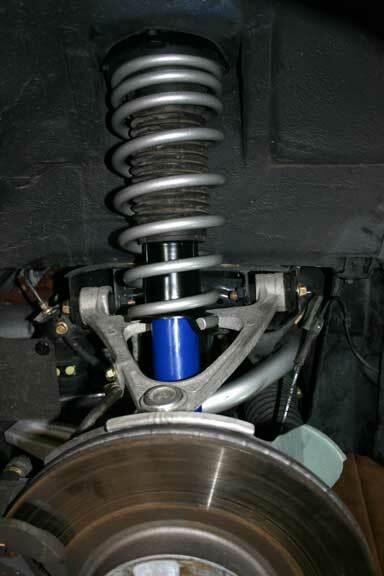 Rear shock plus spring plus other parts to make up a coil-over. 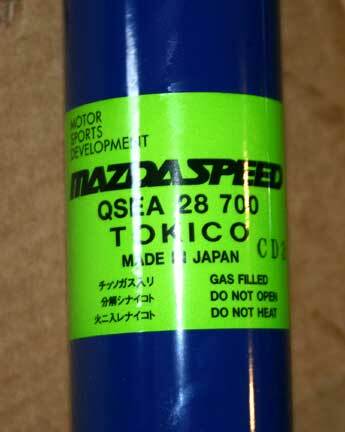 The MazdaSpeed shocks are suppled by Tokico. 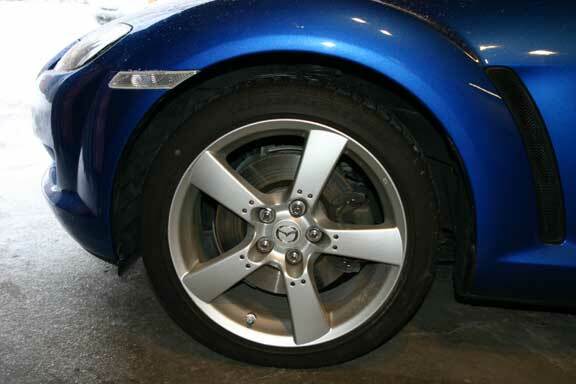 Comparison between the stock (black) and MazdaSpeed (silver) front springs. 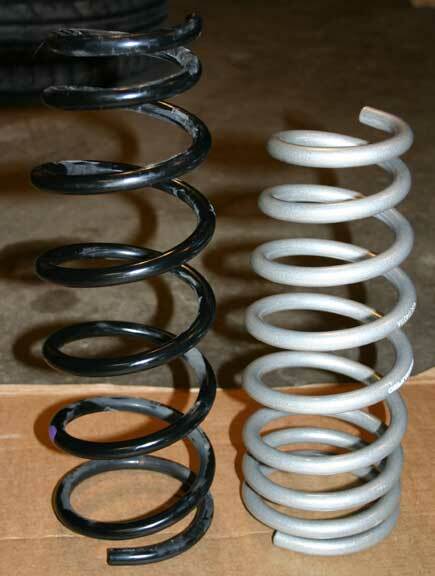 Note how much softer (taller) the stock spring is (some of the difference is the ~1" lower ride with the MS parts as well, but there is more than an inch difference between these two!). Tag from the MazdaSpeed from sway bar bag. 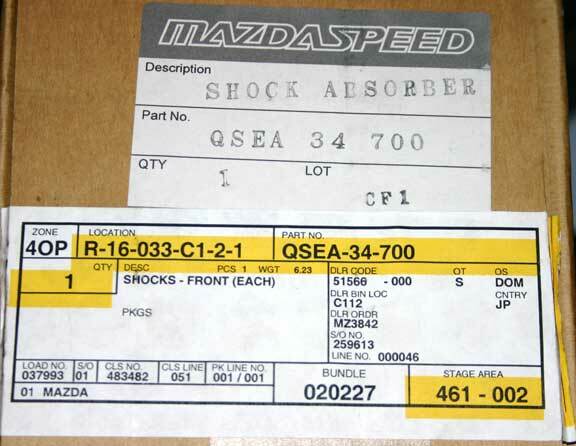 Tag on the MazdaSpeed front shock box. 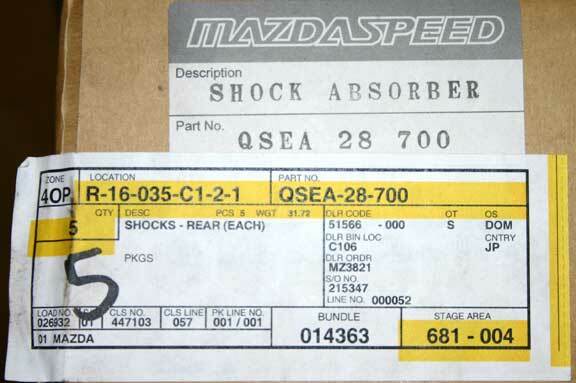 Tag from the MazdaSpeed rear sway bar bag. Tag on the MazdaSpeed rear shock box. Rear MazdaSpeed swaybar (note that the exhaust was removed at this time). 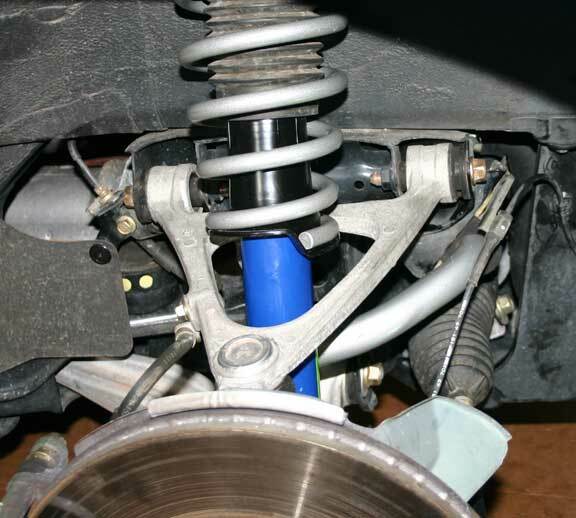 Rear MazdaSpeed sway bar (note that the exhaust was removed at this time). Front suspension disassembled. Note that I removed the upper control arm mounting bolts instead of breaking one of the ball joints apart. This worked well, and there was plenty of room to get the coil-over out. The stock sway bar is still in the car (this came out next). 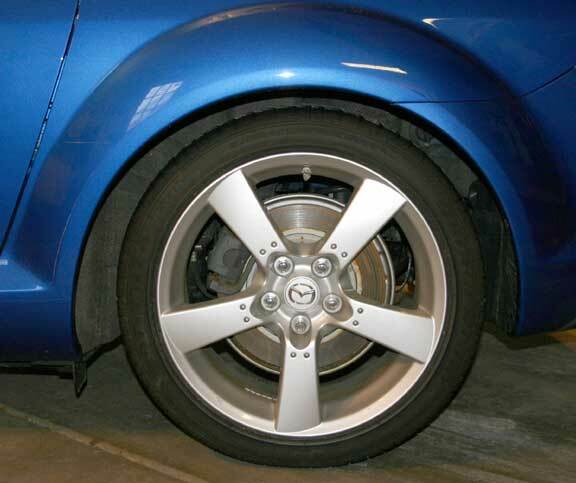 MazdaSpeed suspension in up front. 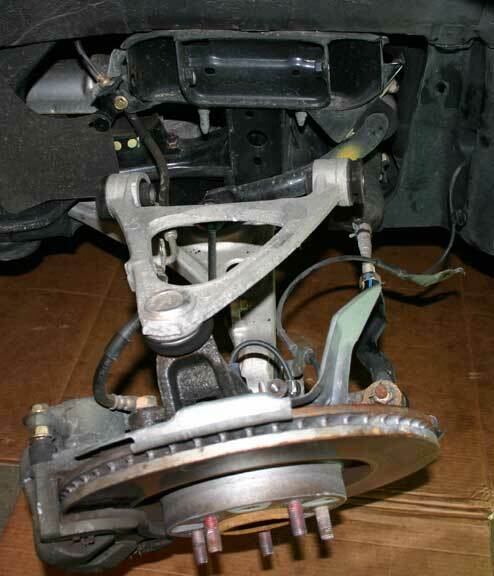 The manual implies that you need to pop the steering arm free from the hub to get the sway bar free, but I did not need to do this. I also only needed to remove one of the radiator supports (not both).